The title of this entry in the book is “REGINA NUFFER WANNER taken from a biography by her daughter ALMA KATHERINE SCHEIBEL NAEF.” I have provided other biographies of Regina, the main one can be found here. “Regina Nuffer was born January 26, 1869, at Neuffen, Germany. A daughter of Johann Christoph and Eva Katharina Greiner, she came to Utah with her family after they were converted to the gospel. 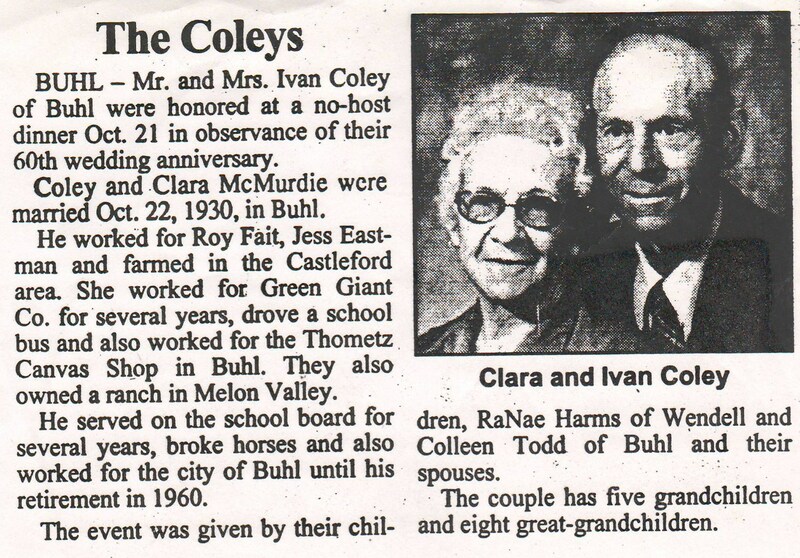 She married Jacob Scheibel July 15, 1889, in Pleasant Valley, Carbon County, Utah. Her first child, Alma Katherine Scheibel Naef, was born, September 27, 1889. When her child was 6 months old, she and her husband separated and she moved back to Mapleton, Idaho, where she stayed with her parents on their farm. During this period she would help people when they were sick, and her mother would take care of her child. 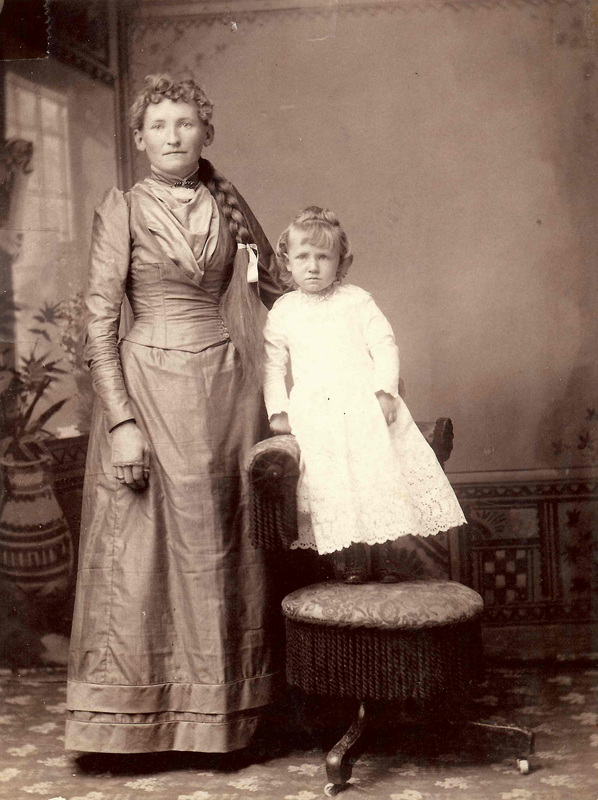 “In about 1893 after the death of her mother she moved to Weber County, Utah, and worked for the Will Taylor family in Farr West and the Bowman family in Ogden. She again returned to her father’s farm. 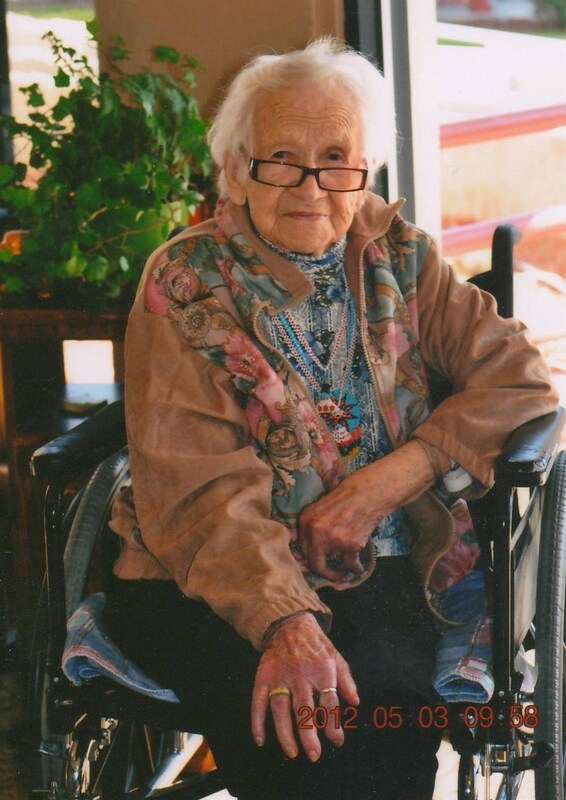 “On her way home she stopped in Logan and walked out to Providence to visit a friend. While eating lunch she happened to think that she had left her new coat on the train. She went back to Logan to the train station and they sent out a tracer. In a few days she got her coat back. After returning to Idaho she worked for several people in Franklin and Preston. She lived in one room of her brother John’s home in Preston. Her brother was on a mission in Germany at the time. “On August 31, 1898, she married John George Wanner in Logan, Utah. That winter she lived on his ranch in Work Creek or Glendale, Idaho. In April she moved with her husband, daughter, and step son, Wayne, to the Bancroft flat a little west of where Grace is now. “She was known as a fine well mannered woman. Her niece, Athene Hampton, said that toward the end of her life her health was not very good and she had a hard time speaking. When Athene and Louisa Nuffer would visit, they would converse by writing notes to each other. She died on March 10, 1942, in Preston, Idaho. Her funeral in Preston was very well attended. I found this biography written by Mary Louise Wanner Andra of her parents. I will write a separate history for them in the future, but I thought I would make this one available unadulterated by me (typed completely as written in the book, although I added the photo). This biography was published in Whitney Centennial 1889-1989: Whitney’s First 100 Years. It was published in 1991 by the Whitney Ward, written and edited by the Whitney Ward Centennial Book Committee. John George Wanner Jr Family abt 1912. 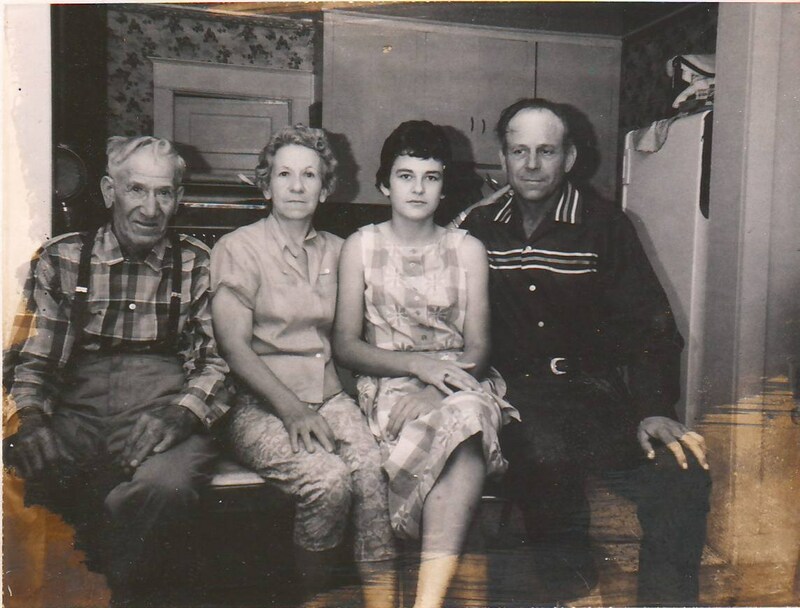 (l-r): Eva, William, Golden, Serge (sitting), John, Regina, Rulon, Willard, Mary. Our father, John George Wanner, Jr., was born in Holzgerlingen, Neckarkreis, Wuerttemberg 29 October, 1870. His parents were John George Wanner and Anna Maria Schmid. He was the oldest in the family of five boys and five girls. His father had a small farm and some cattle. He was also a road overseer. 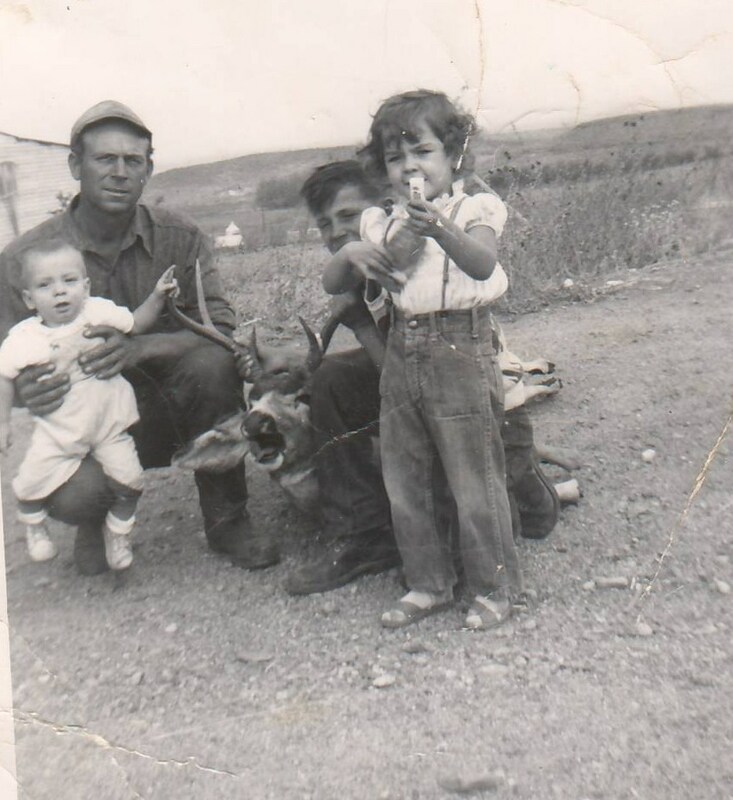 So dad, his mother and brother and sisters did most of the farm work. They also got wood from the forest for winter fuel. Dad’s parents were very religious people and belonged to the Lutheran church. They were very hard workers and tried to teach their children correct principles. Dad tried hard to follow in their footsteps. His parents joined the Church of Jesus Christ of Latter-day Saints in 1891. They made sure all their children were baptized as they became of age. His parents could see that it was the only true church on the earth, and they wanted to go to America, where they could worship as they wished. They also felt it would give their children a better opportunity in life. His parents were the only ones in their respective families who joined the LDS church. Our dad was baptized in July in 1891, and came to America with one of the missionaries – a brother Terrell who was from Providence, Utah. Brother Terrell took good care of him and helped find work for him to do and provide for himself. 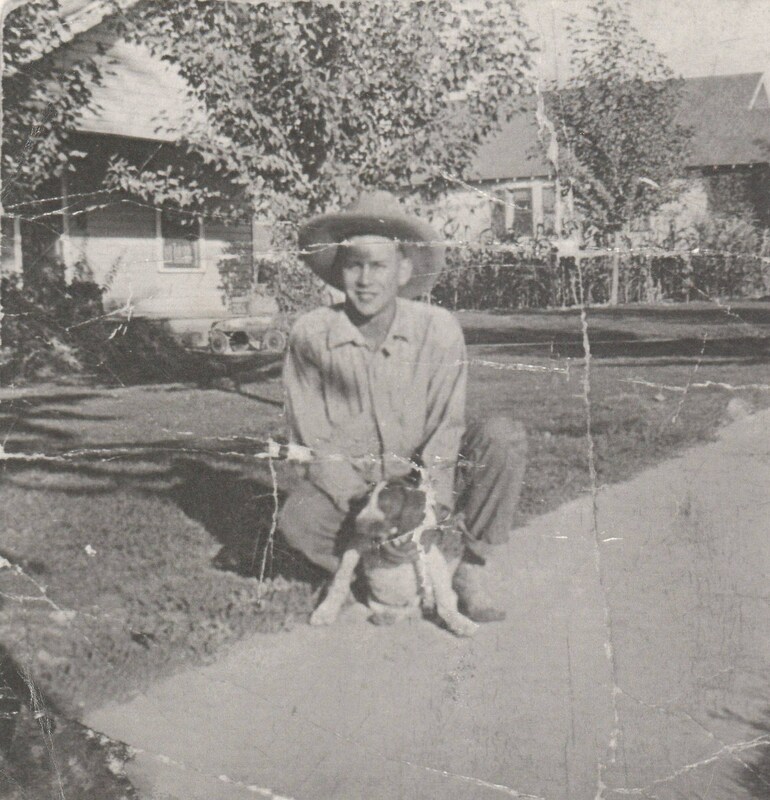 Dad got a job working for brother Fred Nuffer in Glendale, Oneida County (now Franklin County), Idaho. 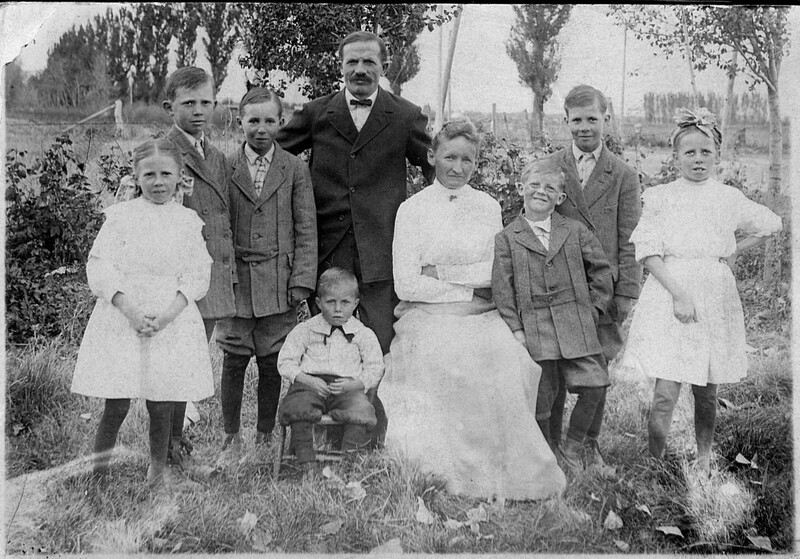 In 1893 his father, mother, and his brothers and sisters came to Cache Valley from Germany. Dad and brother Nuffer met them with a wagon and buggy in Franklin, Oneida County, Idaho, June 18, 1893. I am sure he was happy to see his family again, as it had been almost two years since he had seen any of them. 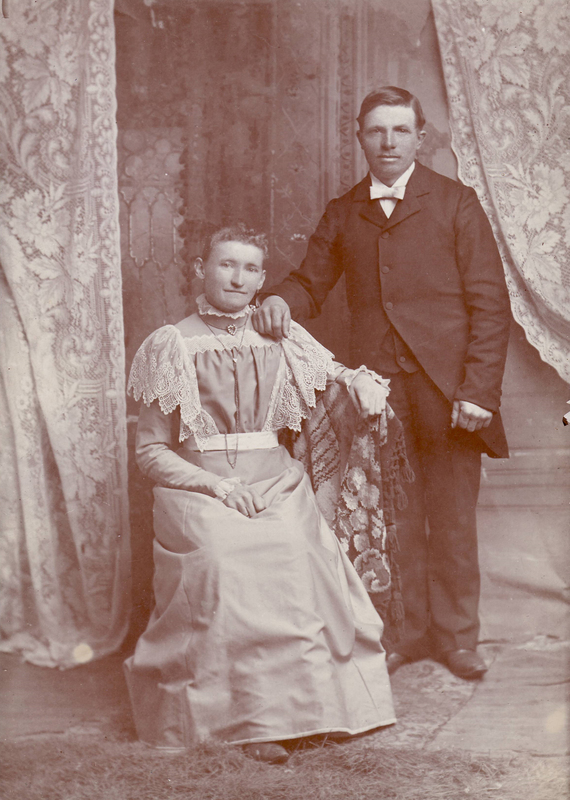 Dad met a lovely girl from Providence, Utah, by the name of Eliza Sterling, and this relationship blossomed into marriage in 1894. They were blessed with two sons, George and Earl Wayne. This marriage was not a very happy one and they were divorced. On the 31st of August 1898, dad married Regina Nuffer who was a sister of our uncle Charles August Nuffer. [Daughter of the marriage of Eva Katherine Greiner and Johann Christopher Nuffer] On 9 November 1899, they were blessed with twin boys, William and Willard. As time went on they were blessed with more children, a total of five boys and two girls. Dad went on a mission to Germany in the fall of 1907, leaving a wife and six children. On March 8, 1908, their son Serge was born. Mother and the family were living in a home John Nuffer built for dad. It is a rock house on East Oneida Street in Preston, Idaho. This house is still standing and is in good condition at this writing – June 1979. When Serge was a few months old, mother took all the children and had a picture taken and sent it to dad so he could see the new baby. 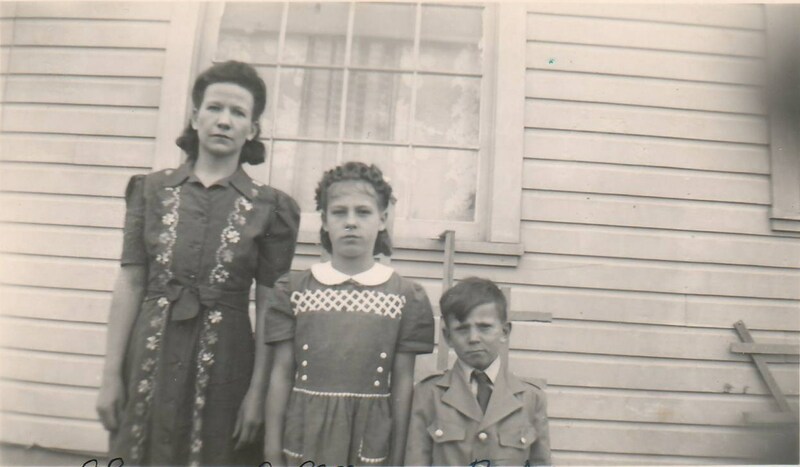 While Dad was in Germany, he met William Andra’s mother and family and baptized the eldest daughter Freda. In 1910, Dad’s mother and father sold their home and farm in Whitney to Dad. This is the farm Lawrence Bodily now has. Dad built a red barn that is still in use on the farm. 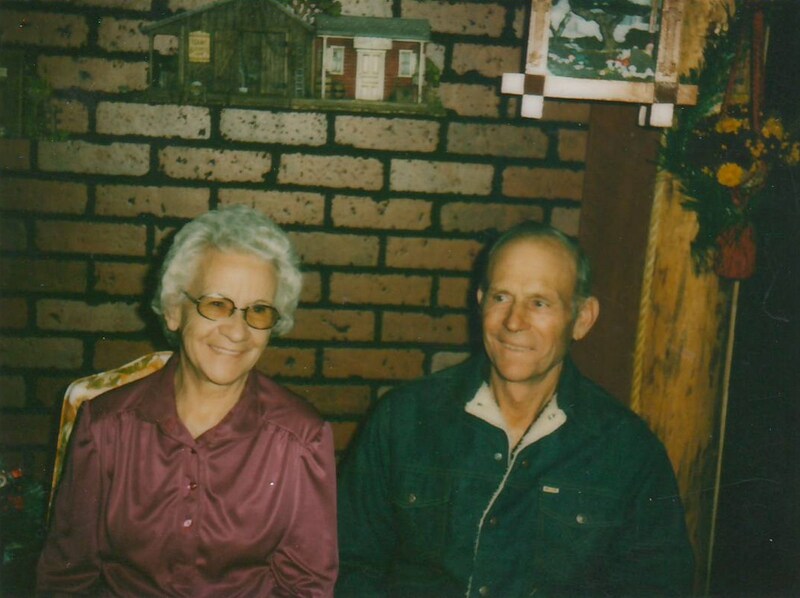 After grandpa and grandma sold their farm to dad, they moved to Logan, Utah. 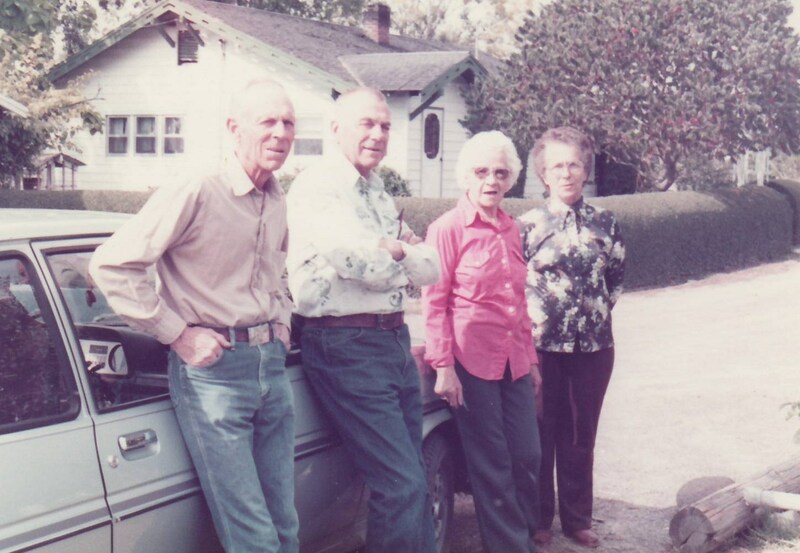 In 1913 dad’s parents, brothers and sisters had a family reunion at their home in Whitney. There was a large crowd and we all had a good time. 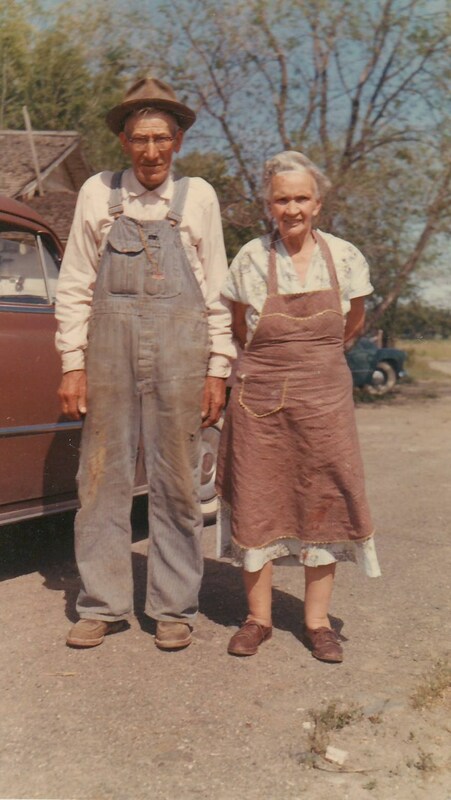 We all had to work hard and dad relied on his daughter Mary for many hard farm jobs. However, on Saturday nights he would take us to the picture show and give us each 25¢ to spend on the show and treats. In 1917, I begged to take the sewing class at the USAC in Logan, as I wanted to learn to sew. However, I was only there a short time when dad brought me home to work on the dry farm. I have always felt bad about this as I wanted to learn to sew. My brother, William, enlisted in the Army on August 5, 1917. He was with the 145th Light Field Artillery, Battery C. He left Salt Lake City for Camp Kearney on October 11, 1917. He left for France August 2, 1918. William contracted the influenza and died December 1, 1918. His body was brought home November 11, 1920, and interred in the Whitney Idaho Cemetery. Just a few days before they got the sad news of William’s death, their son, Golden, died November 26, 1918 in Salt Lake City from influenza. On January 8, 1921, dad sent his son Willard on a mission to New Zealand. Dad and mother were to face still more sorrow when their son Rulon died February 26, 1924, in the Logan hospital. Dad believed in missionary work with all his heart and soul and on December 15, 1925, he went to Tennessee on a six month mission. In 1928, Serge went to New Zealand on a mission and died there October 5, 1929. His body was brought home for burial. 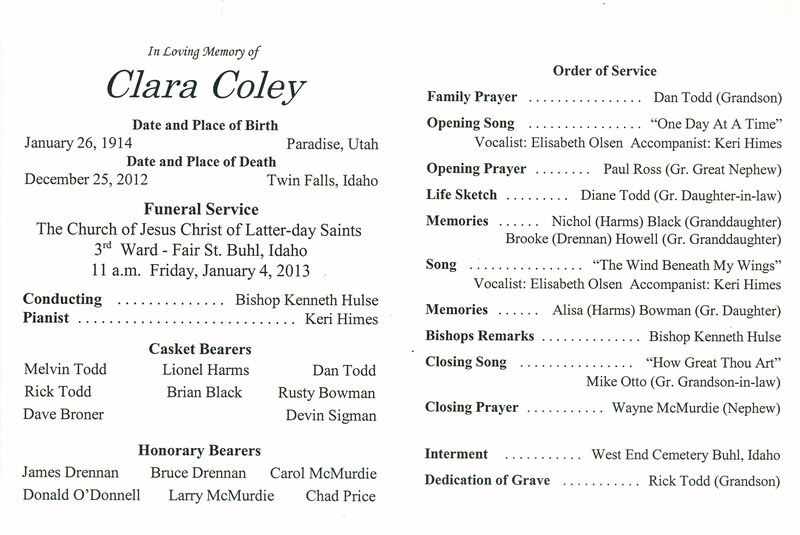 The funeral was held in the old opera house in Preston, Idaho. These were trying times for our parents. Losing four sons, and all their bodies returned home in a box. This left them with only one son and two daughters. On April 7, 1930, dad sent Eva on a mission to California. Dad was not a stranger to hard work. He raised crops and took good care of his farm animals. He took pride in having things looking neat and clean around the farm and yard. When dad sold his farm in Whitney, he purchased 40 acres nearer to Preston and built a beautiful home on it. Part of it is where the Oakwood School is now located. When he retired he sold his farm and home to his daughter Mary and her husband William Andra. Dad was successful in the various undertakings he engaged in. He was one of the first in Preston to have an automobile. When he brought it home he did not know how to stop it. He yelled “whoa” when he got in the garage, but before he got it stopped he had gone through the end of the garage. 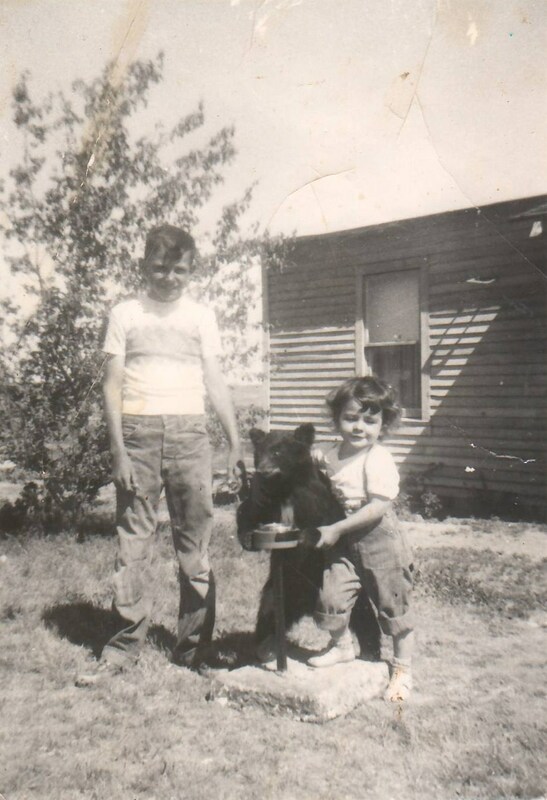 Dad built the two little homes on the west side of second east and first south in Preston, Idaho. He also built three homes on first south and the south side of the street in Preston. Dad and mother lived in one of them until she died in 1942. Mother was ill for quite a while before she passed away. Dad cared for her the best he could and would take her for little rides in the car. She was unable to walk and dad would carry her on his back from place to place as they went visiting. As many of you will remember, there was a humble side to dad. I have seen him cry when bearing his testimony and when he was grieved over the death of a loved one, a relative, or friend. He wanted to leave this world a better place than he found it, and I feel sure he made some contributions and brought this desire to fulfillment. After mother died, dad remarried and went to live in Salt Lake City, Utah. This marriage was not successful and they were divorced. Later on he remarried again and was living in Florida. He became ill and wanted to get back to Preston. My son William went to Florida to bring him home, but when they got to Chicago, he was too ill to go on. So, William put him in the hospital where he passed away on January 5, 1947. Regina Nuffer was born January 26, 1869 at Neuffen, Germany, a daughter of Johann Cristoph and Eva Katharina Greiner, she came to Utah with her family after they were converted to the gospel. She married Jacob Scheibel July 15, 1889, in Pleasant Valley, Carbon County, Utah. Her first child, Alma Katherine Scheibel Naef, was born, September 27, 1889. When her child was six months old, she and her husband separated and she moved back to Mapleton, Idaho, where she stayed with her parents on their farm. During this period, she would help people when they were sick, and her mother would take care of her child. In about 1893, after the death of her mother, she moved to Weber County, Utah, and worked for the Will Taylor family in Farr West and the Bowman family in Ogden. She again returned to her father’s farm. On her way home, she stopped in Logan and walked out to Providence to visit a friend. While eating lunch, she happened to think that she had left her new coat on the train. She went back to Logan to the train station and they sent out a tracer. In a few days she got her coat back. After returning to Idaho, she worked for several people in Franklin and Preston. She lived in one room of her brother John’s home in Preston. Her brother was on a mission in Germany at the time. 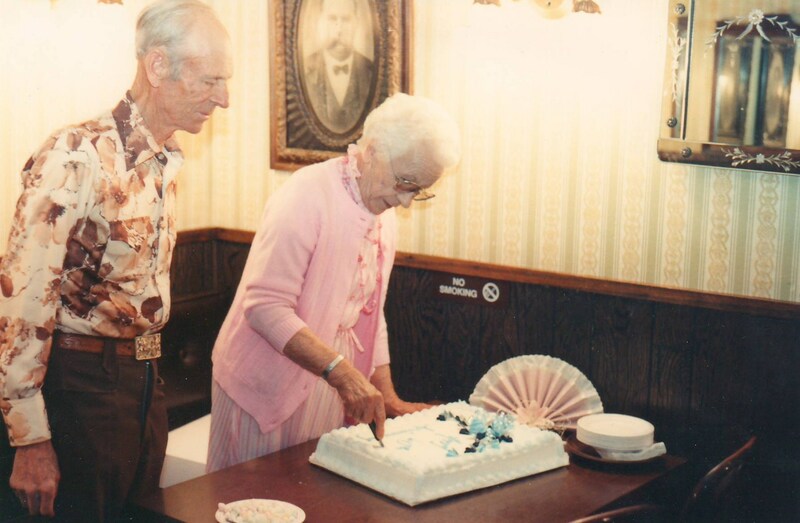 On August 31, 1898, she married John George Wanner in Logan, Utah. That winter she lived on his ranch in Worm Creek or Glendale, Idaho. In April she moved with her husband, daughter, and step son, Wayne, to the Bancroft flat, a little west of where Grace is now. She was known as a fine, well mannered woman. Her niece, Athene Hampton, said that toward the end of her life her health was not very good and she had a hard time speaking. When Athene and Louisa Nuffer would visit, they would converse by writing notes to each other. She died on March 10, 1942, in Preston, Idaho. Her funeral in Preston was very well attended.